Celebrating International Women's Day! First half is a selection of sounds from ladies in music who inspire then I'm joined by DJ, Producer and Instrumentalist Nabihah Iqbal for chats on her inspirations plus a mini-mix. In the studio, I'm joined by Indian drummer, percussionist and producer Sarathy Korwar for chats on field recordings from the Sidi community, Indian hip-hop and the representation of true Indian sounds. Plus newness from Marie Davidson, Cinematic Orchestra, Acid Arab and more. First show of 2019! And joined by Brazilian specialists Far Out Records for chats, exclusives and a mix! Plus newness from KOKOROKO, Chrome Sparks, Dusty and more. The latest 'A Worldwide Thing' is up on Netil Radio. It features co-founder of Manana Cuba, a platform that connects the electronic music community to masters of Afro-Cuban folkloric tradition - giving local artists a platform to connect to international audiences. Projects have included a festival in Santiago, Cuba that featured Nicholas Jaar, A Guy Called Gerald, Mala and more. Plus currently a label with artists blending both worlds that include Airwo, Soundspecies, IGCulture and a new monthly improv night called Parasang. The show includes chats, music and regular new monthly releases from Brainfeeder, Brownswood, 22a and more. Listen above. Brand new A Worldwide Thing is up on Netil Radio. New releases from Thundercat, BadBadNotGood, Sarathy Korwar, Maisha, India's BoxOut.FM and more. Brand new A Worldwide Thing is up on Netil Radio and Boxoutfm. Joined by founder Wayne aka Ahnanse of Spiritual Jazz group SteamDown plus new releases from Auntie Flo, Maribou state, Kelela and more. Thrilled to be Djing at the Tate Modern to celebrate London jazz-inspired artists on August 8th. 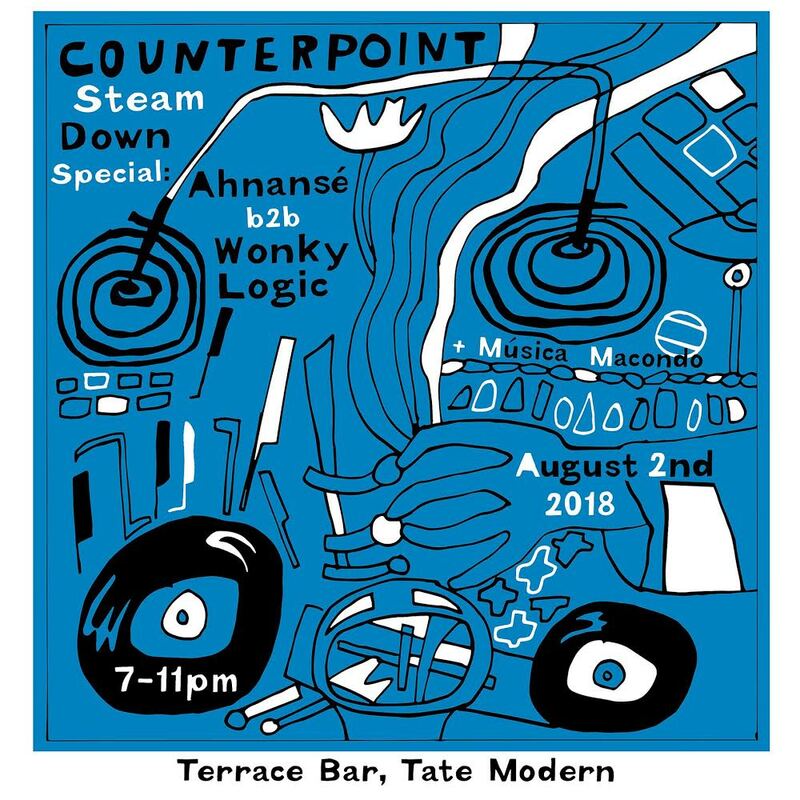 I'll be spinning with the incredible SteamDown collective and Tash LC - more info here. Brand new monthly show on Netil Radio is up! Features Delhi-based Jazz Producer and Composer Tarun Balani - plus new releases! Worldwide Sounds ✨ The guest mix I recently did for Thris Tian's show 'Global Roots' is up for playback on WorldwideFM. Spinning a vinyl-only set at Brilliant Corners in Haggerston this Wednesday with the Musica Macondo crew - made up of curators from NTS, Worldwide, Jazz FM etc. 🎙️The venue is a beauty and houses one of London's only audiophile sounds. Come join! Details here. Dreamy with a touch of spicy sweetness ☕✨The Chai and Chill session I recorded live last month at boxout.fm's studios in Delhi is up. Much love to the team who are doing very special things for online radio and underground music in India. Supporting always.